I was approached about a month ago by Ronald McDonald House Charities of Richmond to promote a holiday special. Right now, Dillard's is offering Southern Living's 2016 Christmas Cookbook for just $10, with all proceeds benefiting Ronald McDonald House Charities. 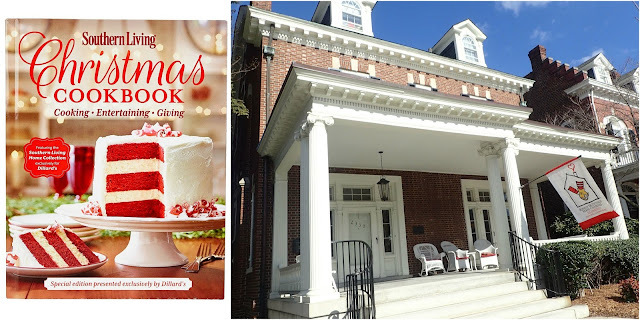 In addition to trying out some recipes from the cookbook, I also had the opportunity to visit Richmond's Ronald McDonald House a few weeks ago. 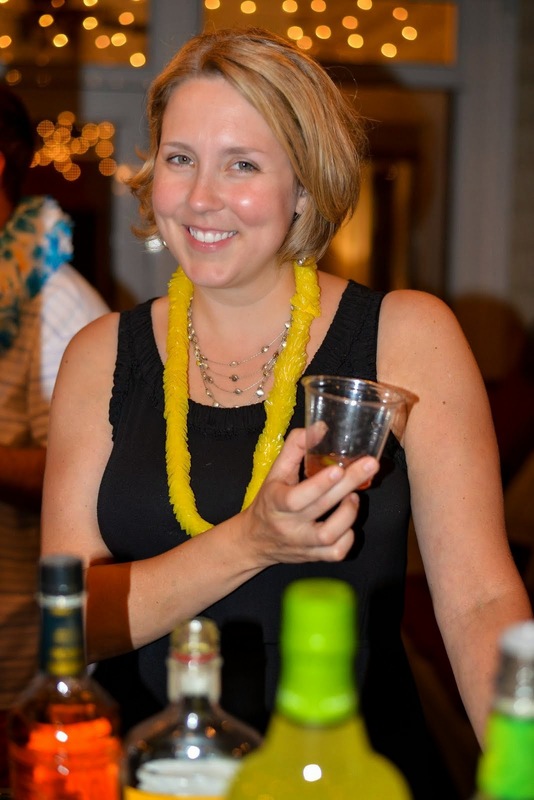 Situated in a beautiful old home on Richmond's famed Monument Avenue, I was truly impressed. Ronald McDonald Houses are places of healing and comfort to sick children and their parents across America. They provide a haven for families with children being seen in any local medical facility. Far beyond just providing a place to sleep, they provide whatever the families need to ease their stay there, from food to an onsite laundry facility. Ronald McDonald Houses truly serve as a home-away-from-home where families can rest and refresh, and count on support while their children are in need. RMHC of Richmond hosts up to nine families a night (and they are almost always at full occupancy), and give them a private bedroom, hot showers, lunch at the hospital, dinner, transportation, and even a playroom. But beyond the physical aspects of the house, the support they give is priceless. I love that Southern Living and Dillard's are using this cookbook in such a beneficial way, and I was very excited to dive into the book! I can't even recall one recipe from a Southern Living cookbook that hasn't been amazing. The very first real cookbook I received, in fact, was their Ultimate Cookbook, and it played a huge role in teaching me how to cook on my own. I decided to tackle something I'd never done before from this cookbook: Mini Frittatas. As we were furiously planning our Thanksgiving dinner, I realized that in my haste I hadn't planned on breakfast. Since we spend the night at my parents' house on Thanksgiving, I thought it might be nice to make breakfast for them Friday morning. 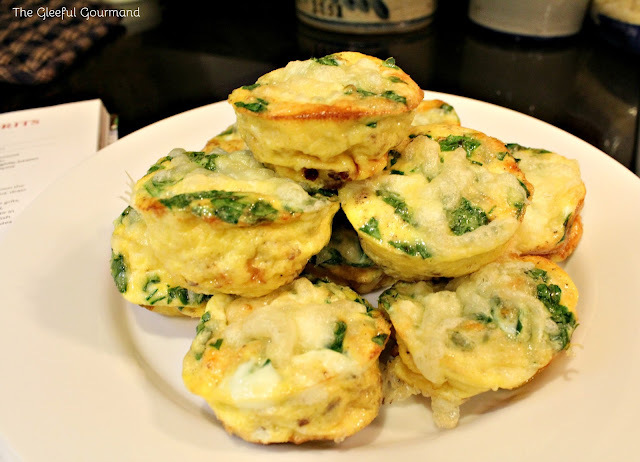 I loved the idea of these Mini Sausage and Spinach Frittatas - cute and super easy to make, they looked like a nice change of pace for a relaxed Black Friday breakfast, along with cinnamon rolls. The only thing was, these Frittatas call for Feta and roasted red bell peppers. I know my players (i.e. my three little ones), and I knew the kids wouldn't even touch them with those flavors. Plus, the more I thought about it, I realized that while I love those flavors myself, I really have to be in the mood for Feta, and I didn't really want it for breakfast. So I switched a couple of ingredients: Shredded Swiss for the Feta, and omitted the red peppers altogether, along with the ground red pepper. The Mini Sausage Frittatas puff up gloriously in the muffin tins, all golden, pretty, and festive with the baby spinach flecked throughout. One of the things that surprised us besides how tasty they were, was how light they were, even with the sausage. 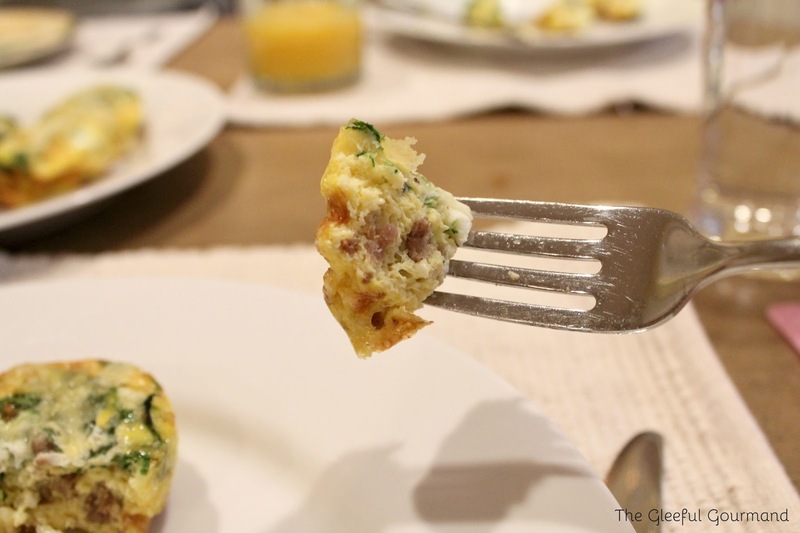 The recipe was easy, fast, and made quite a lot (1 dozen Mini Frittatas). They were perfect for our breakfast, and would be wonderful if you were holding an open house, were having company, or just needed something easy and quick for company to take on their way to their next destination! My only notes on my personal take on them would be that instead of sprinkling Swiss on the top (I took them out with 5 minutes remaining and sprinkled a little on the top, then popped them back in), I would have removed them like the recipe suggests, and sprinkled instead with freshly grated Parmesan for a sharp, salty bite. For other recipes like this, please consider taking a trip to a Dillard's nearest you, and purchasing the book. Not only will be getting a superb cookbook, but you can flip it upside-down to reveal year-round entertaining ideas! It would make a wonderful Christmas gift, or even a hostess gift, and you'd be giving to a charity that is truly wonderful. Stay tuned next week, because I'm going to tackle another recipe from the cookbook that I'm SUPER excited about! Enjoy, friends! 1. Preheat the oven to 375˚F. Lightly grease a 12-cup muffin pan with cooking spray. Brown the sausage in a large skillet over medium-high heat, stirring often, 6 to 8 minutes or until meat crumbles and is no longer pink. Drain. 2. Whisk together the eggs and next 4 ingredients in a large bowl. 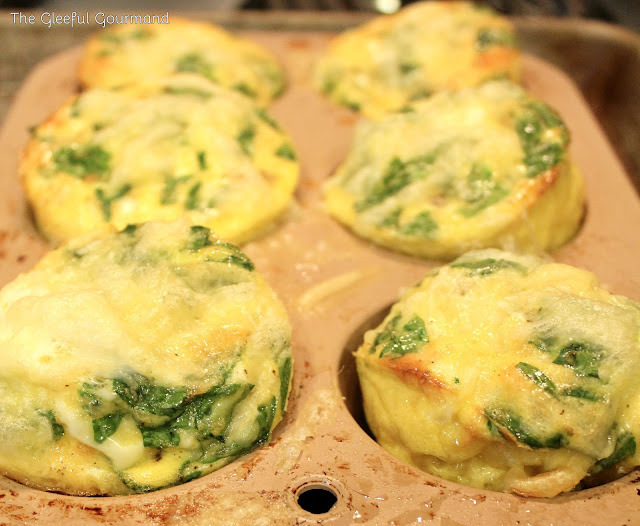 Layer the cooked sausage, spinach, bell pepper, and 1 cup of the feta cheese evenly in the prepared muffin cups. Pour the egg mixture over the layers. 3. Bake for 18 to 20 minutes or until set but not dry. Let stand 5 minutes. Remove frittatas from pan. Sprinkle with the chopped parsley and remaining 1/2 cup feta cheese before serving.